ServiceNow knowledge and ITIL knowledge will be an asset. 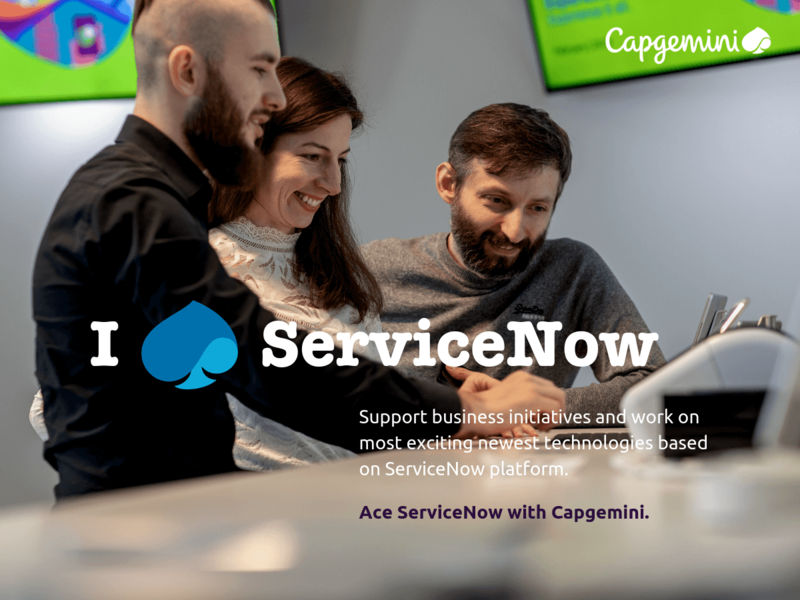 As a Junior ServiceNow developer, you will work in our Kraków office and your job will mainly be to assist Developers and Senior Developers during projects’ delivery within ServiceNow platform. You will be performing various technical tasks depending on your skillset and basic client interactions. The technical aspects will vary from testing &amp; system administrator tasks, through application customization to building widgets and custom applications. The purpose of this opening is to find suitable candidates to expand current capabilities within ServiceNow Development team in our Kraków office. The ideal candidate is an aspiring software developer learning any programming language for 3-6 months or more, with background in IT Service Management &amp; Customer Service. Prior ServiceNow experience is not required, but is a plus. Each applicant will be provided learning materials for ServiceNow developers and time to prepare for a test on a non-production ServiceNow instance. P&C ServiceNow Developers team delivers technical solutions on ServiceNow platform to our clients. The skillset across the team is diversified, varying from platform experts to software-development focused individuals.